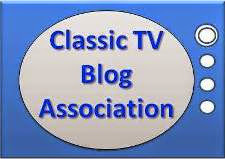 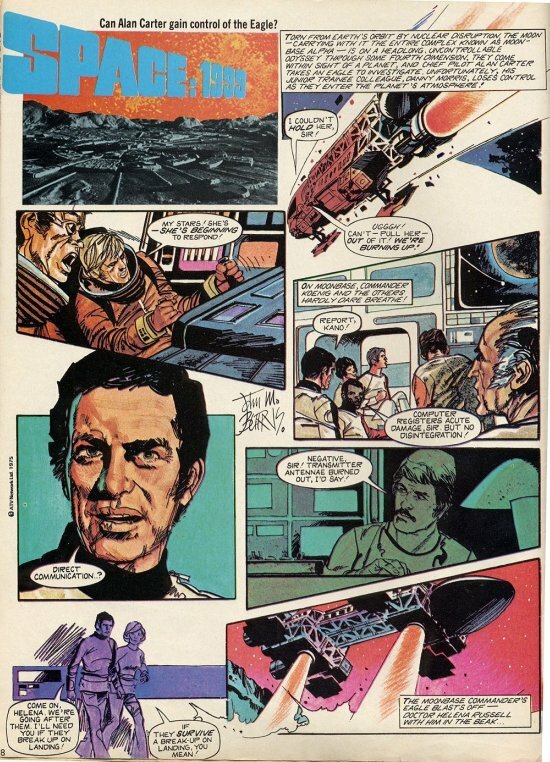 ...beginning with this story that appeared the month the show debuted on TV, September, 1975! 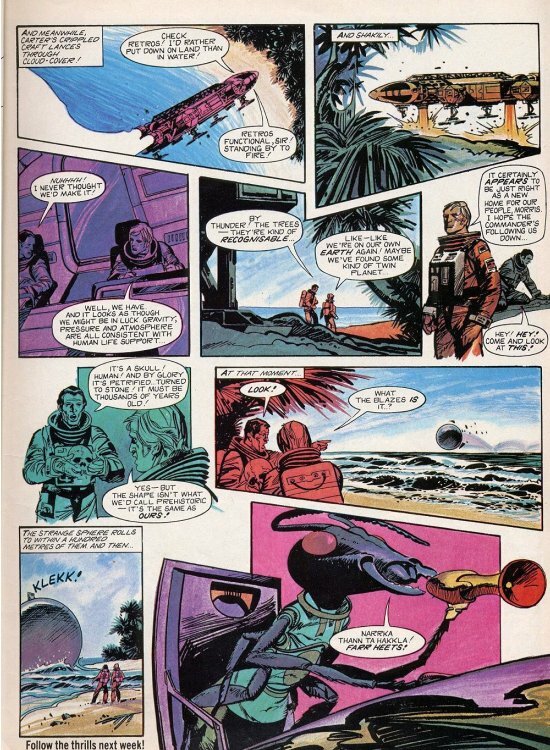 Actually, you'll see the conclusion tomorrow! 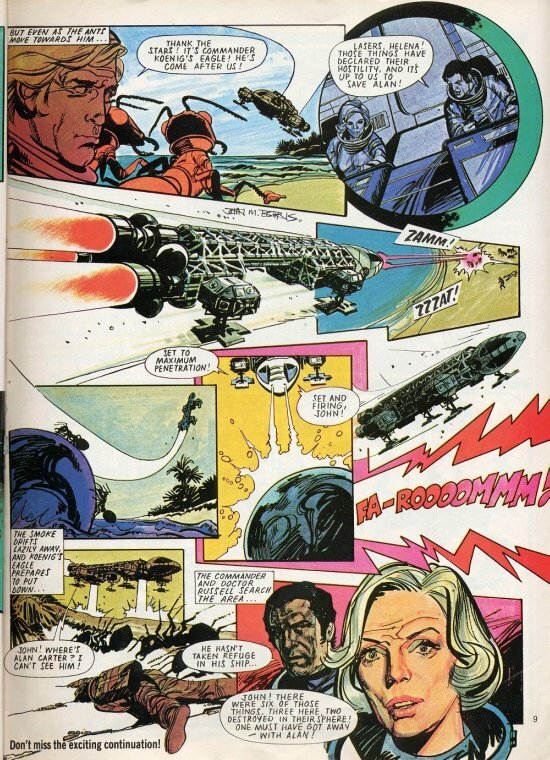 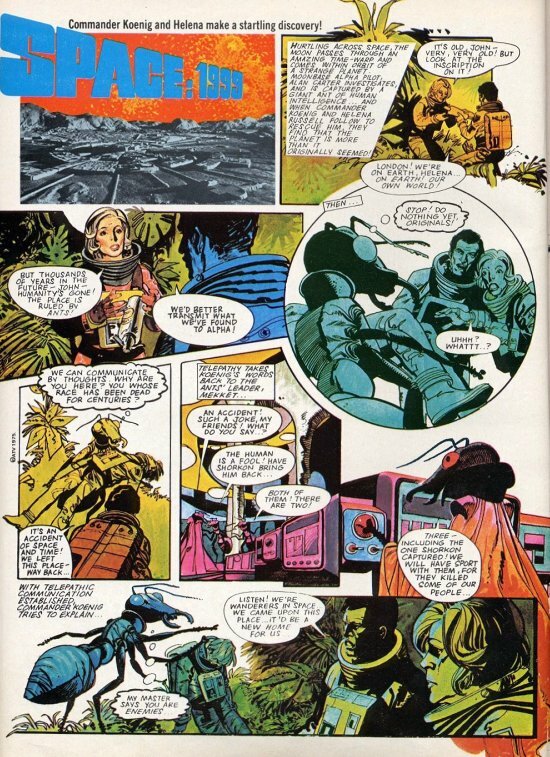 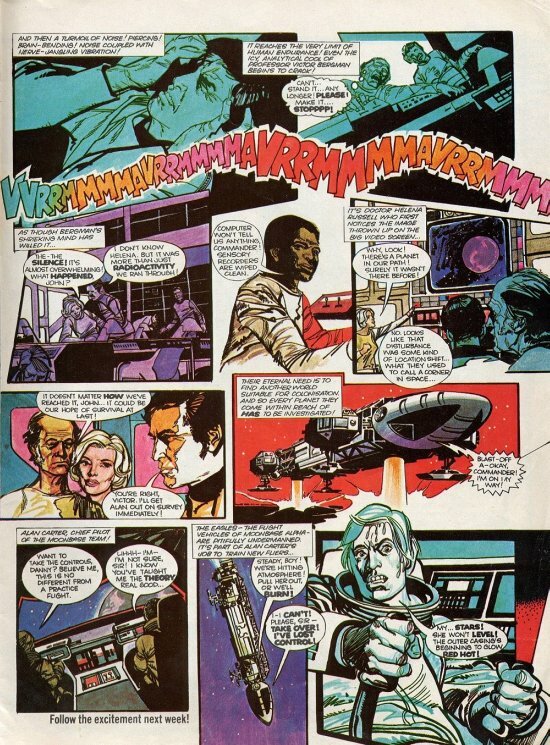 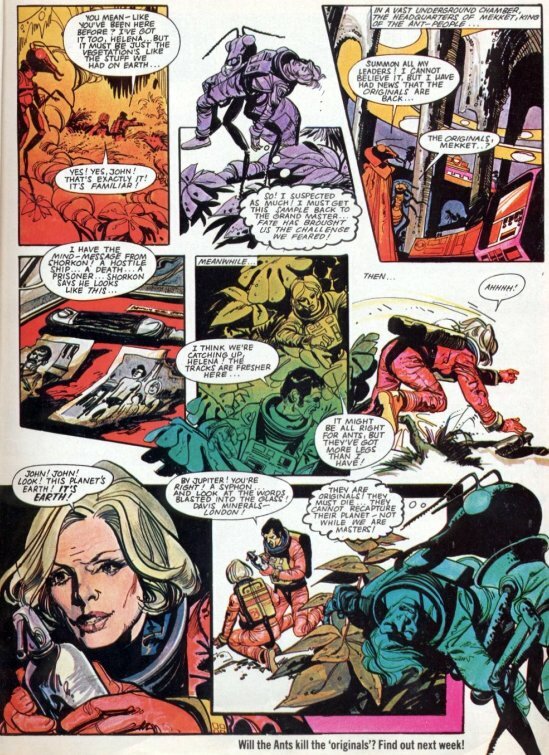 This tale from Look-In magazine was written by Angus P Allen and illustrated by John M Burns (who had worked on Lady Penelope, but is best known for his art on Judge Dredd and Dan Dare). 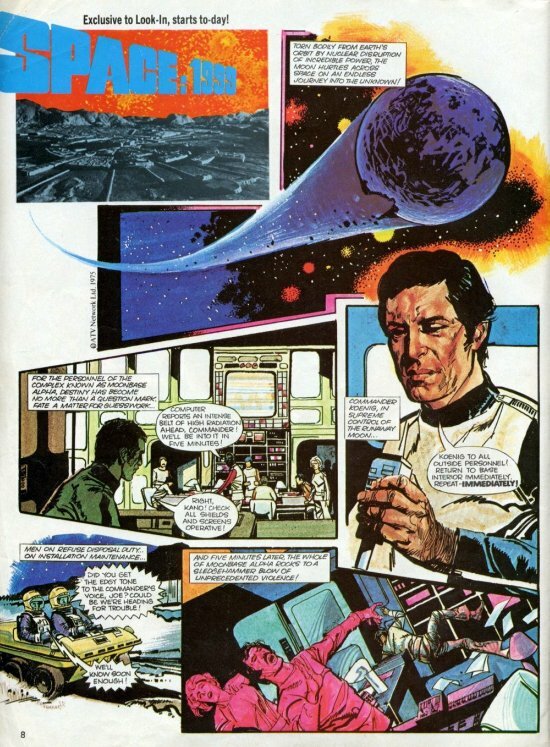 Note: the Year One episode "Another Time, Another Place" (which also featured the Alphans landing on an Earth, albeit a parallel Earth) had not yet aired, so a story about a return to their home world wouldn't be unlikely. 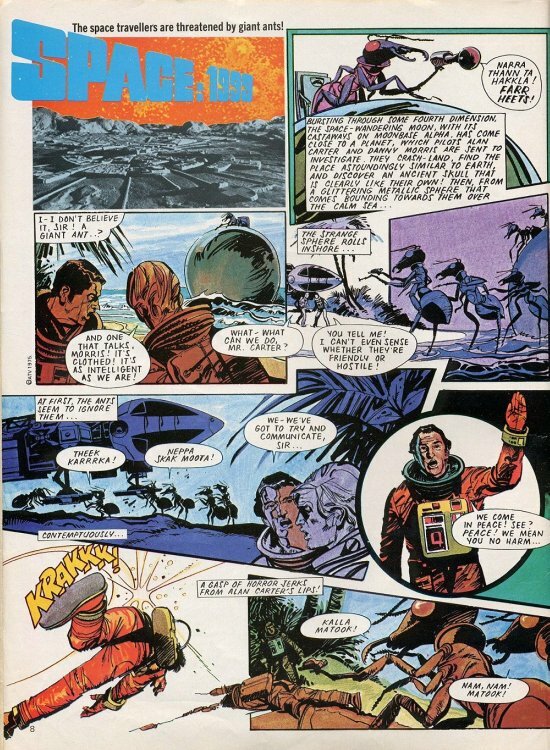 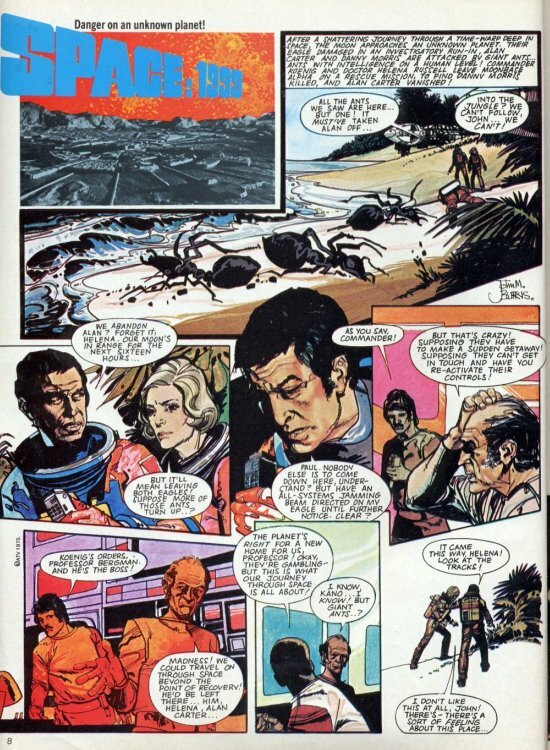 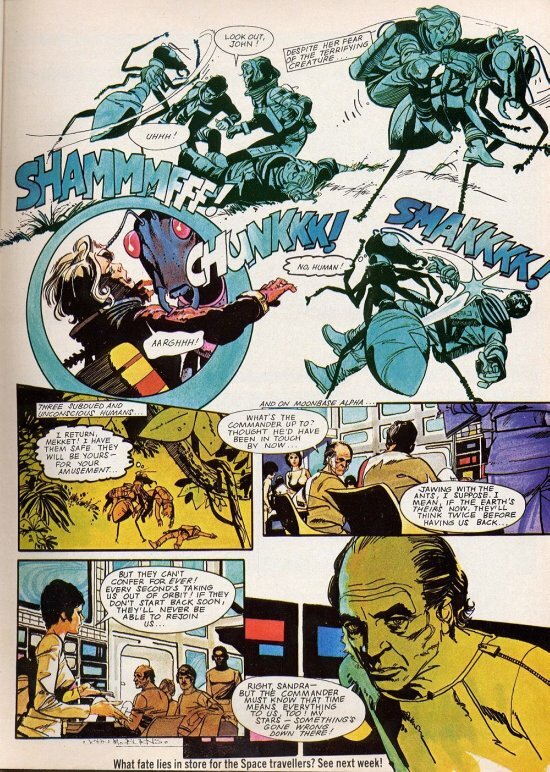 In fact, Power Records also did a "return to Earth via time travel" tale, but had the Alphans going into the past where they encountered Noah just before the Great Flood!